SUMMIT New Hampshire! Climbing the classics! During the summer of 2014, Falling Creek will be offering our first rock climbing expedition! Summit will be based out of the timeless climbing town of North Conway, NH. 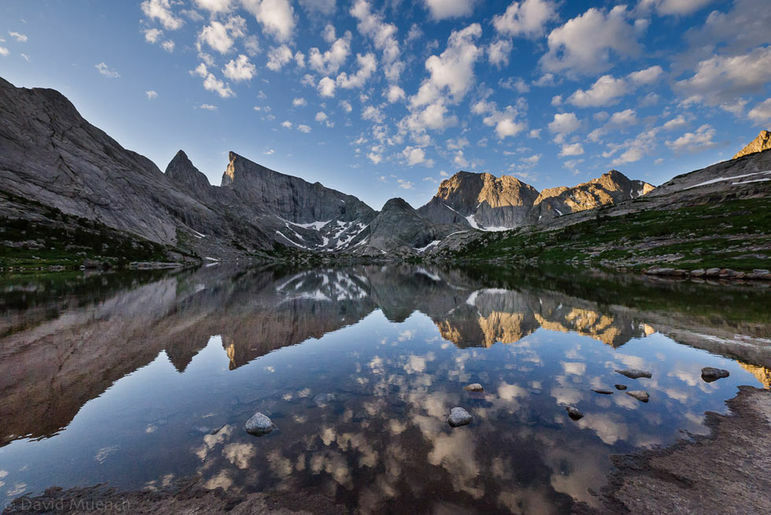 During the 10 day expedition the young men will climb on Cathedral Ledge, Whitehorse Ledge and at Froncia Notch. Each of these areas will provide a different challenge to master and will allow them to hone their belaying, anchor building, and technical climbing skills. On the expeditions’ “rest day” they will do a summer ascent of Mount Washington which will allow them to enjoy the wonderful views from the top! SUMMIT will start on July 22nd, 2014 at the Portland Maine airport and will end on July 31st 2014. BLAZE Wyoming! How Sweet it will be! The Winds hold a special place in my heart as it was my first true wilderness adventure and now I am lucky enough to help create that memory for others! 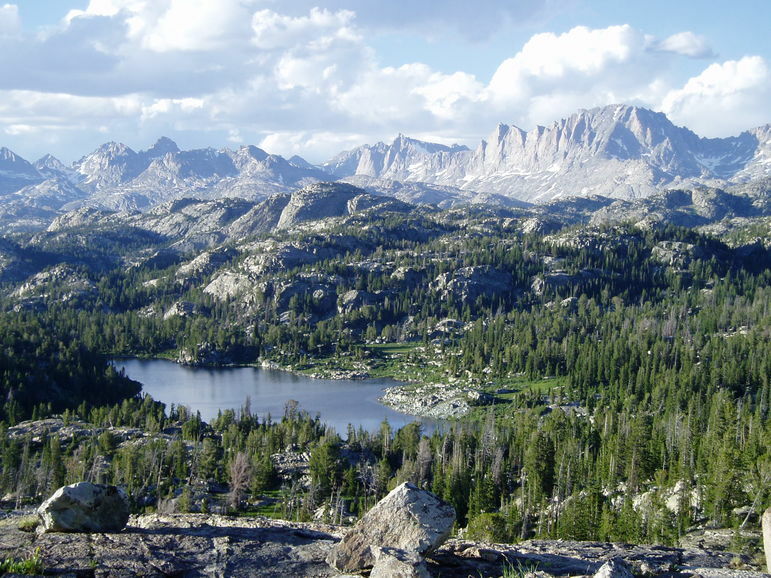 This amazing adventure will take place entirely in the wilderness area that surrounds the famous Wind River Range. 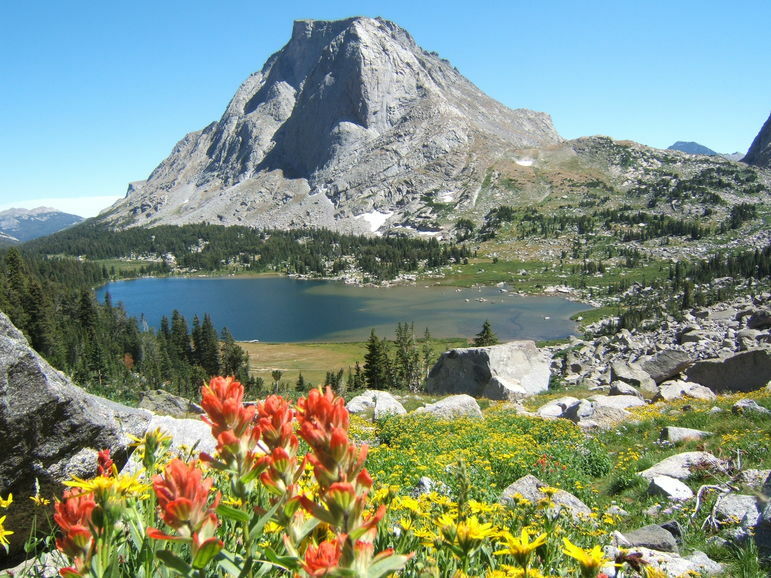 The young men will cover roughly 70 miles and hike at elevations ranging from 7,000 – 12,000. The trip will spend a great deal of time above tree line and will enjoy the wonderful long range views that are so well known for this. I am excited to report that the expedition will also pass glaciers, high alpine lakes and countless bowls filled with wild flowers! BLAZE will start on Tuesday, July 22nd at the Jackson Hole airport and will finish on Thursday,July 31st, 2014. Mipso At the Purple Onion in Saluda! 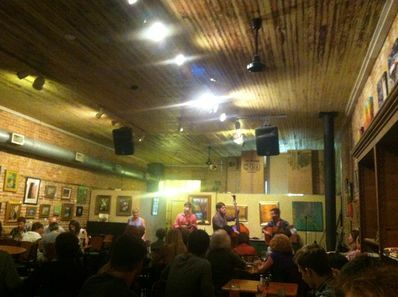 Longtime Falling Creek camper and staff member Wood Robinson and his band Mipso played their first show back in the United States at the Purple Onion located just down the road from Falling Creek in Saluda, NC! Mipso spent the summer bringing the band’s unique Southern Appalachian sound to the bluegrass loving countries of Japan and China. 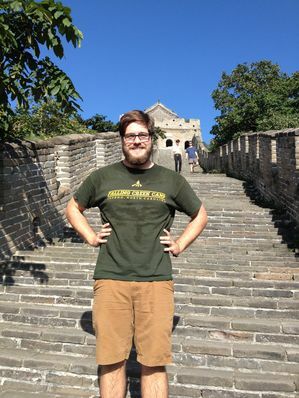 Here is Wood sporting his Falling Creek t-shirt at the Great Wall. Check out the Mipso website for tour dates and to hear music from their first album “Long ,Long, Gone”. They have a new album coming out this fall, be sure to check them out! 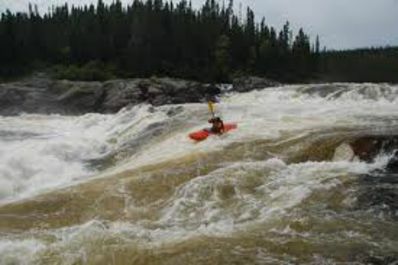 a 10-day wilderness paddling expedition on the Magpie River located on the Quebec – Labrador boarder. 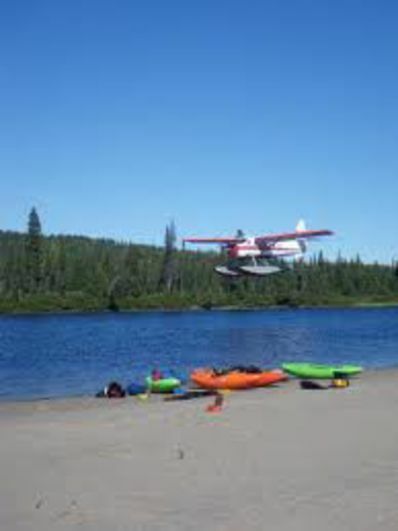 To reach the put in, the expedition will fly via floatplane to land on the Lac Magpie. A raft to carry previsions and camping gear will support the trip. Participants will paddle exciting rapids and explore untouched forest as they progress to the takeout on the St. Lawrence water way. 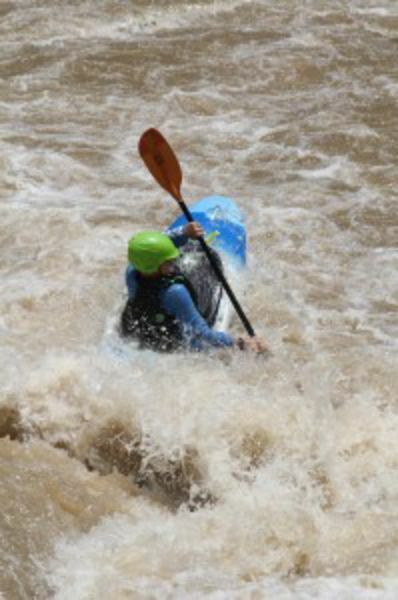 The Magpie is one of National Geographic’s top 10 whitewater rivers! Check out this google map of the river, if you switch it to satellite and zoom all of the way in you can see the rapids! 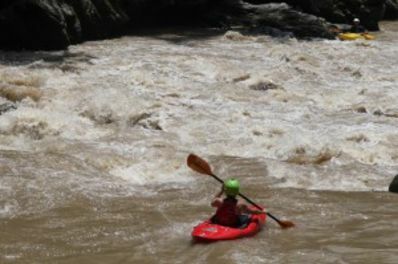 During the last week of July, Falling Creek took 12 young men (ages 13-17)on an epic adventure to explore the whitewater of Costa Rica! During the trip they made chocolate,ate local foods and fresh fruit, explored an indigenous village, and paddled a ton of whitewater(10 different rivers)! 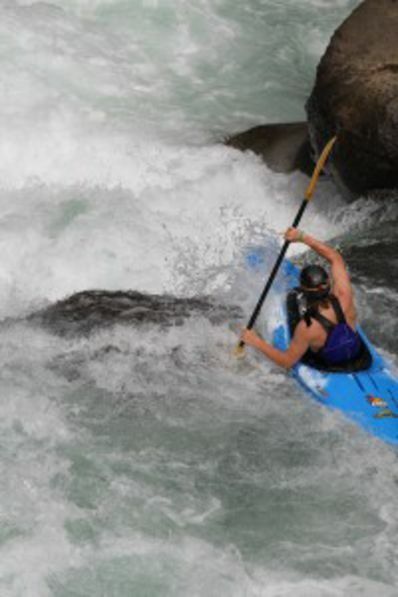 While in Costa Rica the expedition paddled several sections of the famed Rio Pacuare. 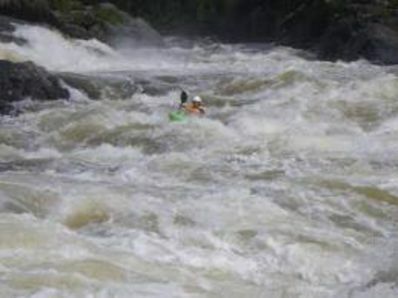 The favorite being the Lower Pacuare as it has massive amounts of great whitewater and beautiful scenery! Here is the blog that the young men wrote each day of the trip and a short video that Jez made!